Microsoft published an article about the exploitation of Intel’s AMT tools stealing government data for espionage purposes. The hack works independently of the Operating system which can bypass any windows firewall at the moment. The malware has been active since at least 2009 primarily responsible for spear phishing attacks on ISPs, government organizations, intelligence agencies, and defense institutes. The malware is known has been exploiting hot patching feature which allows the installation of updates from Microsoft without system reboot. As per Microsoft Malware protection Center, this is the first time they discovered the exploitation of this vulnerability injecting a backdoor to svchost process which makes it almost invisible. Platinum malware focuses on a small number of campaigns per year, which reduces the risk of detection and helps the group stay unnoticed and focused for a longer period of time. 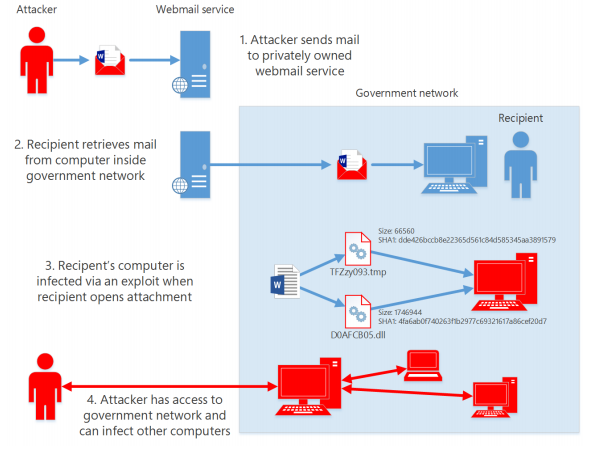 Platinum malware has focused on targets associated with governments and related organizations in South and Southeast Asia. Platinum malware has used multiple unpatched vulnerabilities in zeroday exploits against its victims. Spear phishing is the group’s main method of infecting targeted users’ computers. Platinum malware uses custom-developed malicious tools and has the resources to update these applications often to avoid being detected. Platinum malware configures its backdoor malware to restrict its activities to victims’ working hours, in an attempt to disguise post-infection network activity within normal user traffic. Platinum malware does not conduct its espionage activity to engage in direct financial gain, but instead uses stolen information for indirect economic advantages.